DFDL has announced the promotion of Hanh Tran and Thang Huynh to new roles. Hanh Tran has now been appointed as a Deputy Managing Director in Vietnam, and will remain as the Head of the HCMC office, while Thang Huynh has been appointed as the Head of the Hanoi office. 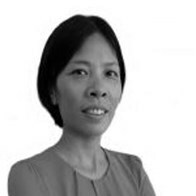 Hanh is a leading Vietnam-qualified lawyer, with more than 14 years’ of experience advising leading multinational clients and financial institutions on complex corporate law matters in Vietnam and Cambodia. Hanh predominantly advises clients on complex Project Finance, Real Estate, and Corporate and Commercial matters. Some of the most significant transactions that she assisted on include the largest real estate acquisition in 2011 in Cambodia, the Chinese state bank financing of USD 421 million, the refinancing of a telecoms company in Cambodia and a major port project worth approximately USD 300 million. Most recently, Hanh advised on the acquisition of a stake in a Cambodian hydropower project by a major Chinese state-owned enterprise. Huynh Dai Thang is a fully qualified Vietnamese lawyer with more than 13 years’ of legal experience in Vietnam. He has in-depth knowledge of Real Estate, Mergers and Acquisitions, Infrastructure, Corporate and Commercial and Investment Law in Vietnam. He has advised on various important projects in Vietnam where he represented either foreign investors or Vietnamese counterparts including the Vietnamese state authorities. Thang also has an in-depth knowledge of real estate law having advised on numerous real estate development projects in Vietnam. Additionally, he worked on donor-funded technical assistance projects, including projects that required review and analysis of the draft Vietnamese legislation.